Summary: Lately, bankers are trying to get their hands around the Current Expected Credit Loss (CECL) standard. Some tips to get you started. We found out an interesting and odd fact to share. 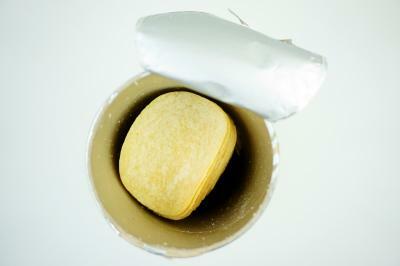 Fredric Baur, the inventor of Pringles potato chips, liked his invention so much that when he passed away his ashes were buried in a Pringles can. That seems a little extreme to us, but you have to give him points for dedication. Lately, bankers may find that they are more dedicated to loan loss calculations than before, as everyone tries to get their hands around the Current Expected Credit Loss (CECL) standard. As you work toward the end of the year and ponder the best way to incorporate CECL into your underwriting process in the coming years, you might also want to think about your budget. That's right, we said budget and we said so because CECL will require you to include loss estimates in it - especially those in managing capital, assets, & liabilities. Inventory & Analyze Your Data. Though CECL is a departure from your current method of loan accounting, you most likely already have most of the information you need. Knowing this, start to review and take inventory of your data. Sort Your Data. Basically, data can be broken down into three primary groups for CECL. The first is descriptive data, which is the purpose and nature of the loan. The second is performance data, which includes loan/risk grade, charge-offs and recoveries. The final piece is cash flow descriptive data, which is needed to determine how repayment will occur over the life of the loan. Here it is crucially important to include the impact of prepayments. Assess & Evaluate Methods. Now that you have your data, you will need to start looking at suitable methods to use. There are several options, so be sure to choose the one to suit the data, not the other way around. For example, static closed pool method works well for very homogenous loans, while closed pool vintage and vintage default curves may work well for amortizing loans with shorter maturity structures and similar balance size. Remember Where We Are. When it comes to choosing which method to use, know that most banks currently use open pool. This may work well under CECL, but it is important to note that the Great Recession was an anomaly. So, if that is the only economic cycle you have results for, you may need to search back further in time to "dial down" these results to "normal" levels. Get More Math-y. Grade migration and PD/LGD methods will typically better reflect current credit quality than other methods, especially if your lookback period is over the Great Recession. Recall that there were more classified loans held during this time, which causes other methods to skew higher. You can also consider using discounted cash flows. These can lower reserves, but also require more work when dealing with recoveries. Test, Retest & Then Act. As you work along, take a close look at your evaluation method. Seek to understand how it will work now AND as economic conditions change over time. As you refine things down ensure that your auditors, examiners, bank executives and board are all on the same page. The accounting can is certainly full of chips when it comes to CECL right now, so take your time. Our suggestion is to eat them 1 at a time and pretty soon you will be at the bottom. Remember, you're not alone. Many Community Banks are struggling with this issue but we are here to help. We can not only help get you started, but we can even go so far as to help you implement CECL every step of the way. Contact us for more information. Yields dipped 5bp amid soft economic data. Developers are building more and more apartments, as the seasonally adjusted rate of apartments under construction jumped to 569k in Sep vs. the long term average of 300k. As cryptocurrency prices continue to explode hither, the CEO of Swiss bank Credit Suisse Group joined the chorus of major bank CEOs worldwide calling it "the very definition of a bubble". We will have to see where this all ends up, but certainly there are plenty of fans and plenty of naysayers. The Bank of England (BOE) raised interest rates for the first time in 10Ys to 0.5%. Despite this, with the Brexit transition in motion, another increase is not expected in the near-term. This is the first time in 20Ys that the BOE has tightened when UK GDP was weak.